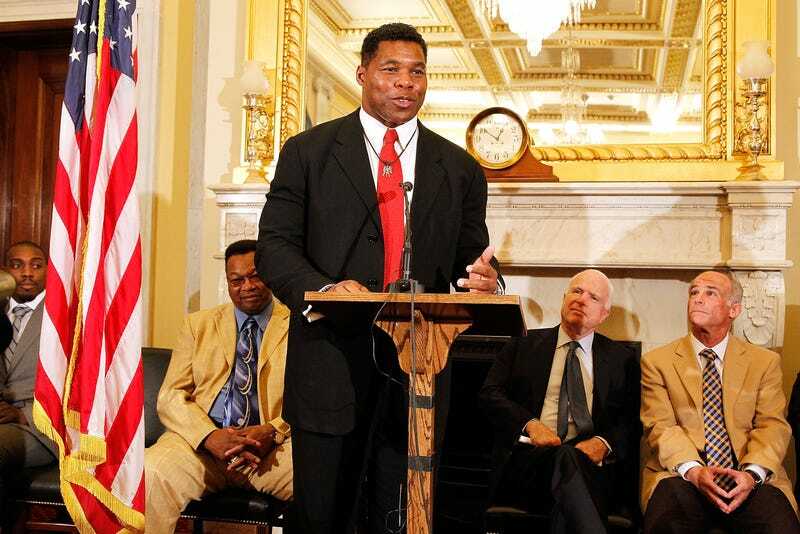 Herschel Walker isn't waiting for his longtime friend Donald Trump to get sworn in before he gets started on his pitch for a job. According to TMZ Sports, Walker wants to be appointed head of the President's Council on Fitness, Sports and Nutrition. "I hope he would at least consider me," Walker told TMZ. Dominique Dawes and Drew Brees have previously held the post. And that's not all. Since Trump's huge presidential upset, Walker says that politicians have reached out to him trying to make nice, since many know that he's close friends with the president-elect. But worry not, America; Walker tells TMZ that he's no dummy and knows when people are just trying to cozy up to him for favors.